Cancer [and Chemotherapy] is one of the most feared diseases in modern society, regarded by most as a death sentence. This is a remarkable interview with Lothar Hirneise, an authoritative cancer specialist who has traveled the world in search of successful methods of treatment. The fact that he is not a doctor has kept his mind open enough to make an important discovery: anyone can find a solution to cancer… but brazen confidence is an essential precondition. Lothar Hirneise is not a doctor. But he does have a pioneering — and well-founded — vision on cancer. Aided by the gründlichkleit, meticulousness, of his native German culture, reasoning is his forte. Hirneise is a man of research and solid proof; a man who took an unusual path in becoming an influential, albeit controversial, cancer specialist in Germany. If it’s so simple and unequivocal why aren’t more people getting better? “Because success demands discipline and effort. It demands that the patient get moving, become active, develop a constructive fighting attitude. Most people choose the easy way: chemotherapy, radiation or an operation. People say: ‘What do you mean the easy way? 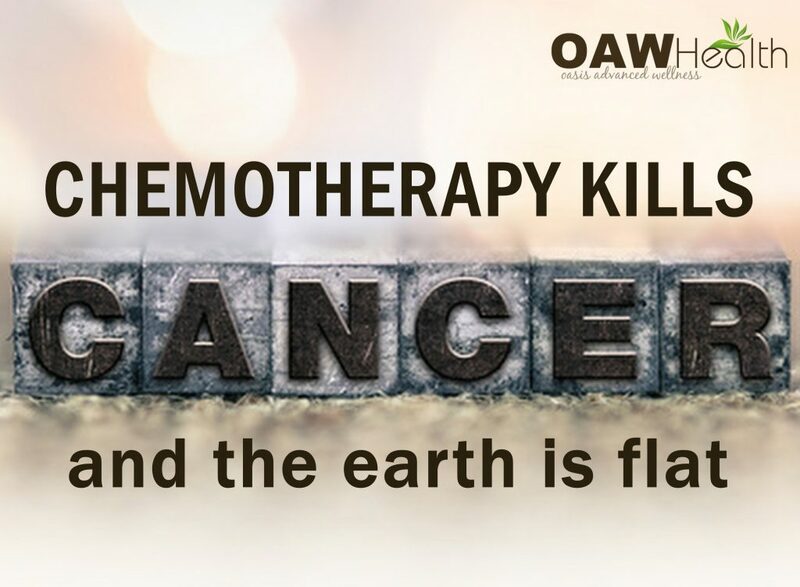 Do you know how horrible chemotherapy is?’ Of course chemotherapy is no fun, but a radical change in your diet and lifestyle is more difficult. That’s why so few people survive cancer. “Cancer cannot exist without stress. An example: “A while ago I gave a lecture after which a man came up, hugged me and said: ‘You saved my life.’ A few months later his daughter called. He had died. What happened? The children had convinced their father to go to a doctor after all. He finally did. That was on a Monday. That Saturday he died. The stress, the fear and anxiety around the doctor’s vague diagnosis had driven him crazy. When people ask me which diagnostic tests they should and shouldn’t do I tell them: ‘Can you sleep without that diagnosis?’ If so, don’t do it. If you need the diagnosis to sleep better, then go ahead. Instead of a blood test, you’re better off looking in the mirror. Look at your whole body, your skin, etc. That is a better diagnosis. Then meditate and listen to your body. Listen to what it wants to tell you. You will discover a great deal, gain a lot of insight. Here is what you can expect from this book and what you should not expect from this book! Almost without exception people view the diagnosis of cancer as a type of punishment and injustice, which they initially confront with a sense of powerlessness. This sense of powerlessness however is primarily due to false reports in the press and the consequent lack of information on the part of patients. To a great extent cancer is not a terminal illness to which one is helplessly surrendered. How have I come to this conclusion, which certainly may appear as “quite presumptive” in the light of the many deaths attributed to cancer each year? Unfortunately I cannot provide you with an answer to this question in just a few words; and this is precisely the reason that this detailed book has been written. If you have read it carefully then you will understand for yourself, why I have come to the firm conviction that by no means is cancer the dangerous illness that it is always made out to be, even though so many people die of cancer. In the following pages I will explain to you how allopathic medicine normally treats your type of cancer, and why its practitioners believe that they must do it this way. This is very important because it will enable you to better communicate with your doctor. I want to make it clear from the very beginning that it is very important to me that you conduct a satisfying dialog with your doctors, alternative practitioners, and other professional helpers. I am an absolute proponent of close collaboration with therapists (here I mean to all helpers, regardless of whether alternative practitioner, psychologist, etc.) and I am an opponent of the attitude, “I’ll get through this on my own”. On the other hand, my experience has shown me that it is very difficult to find therapists with whom you can really conduct the necessary dialog. I would also like to explain an additional bias at the beginning of the book. I am neither for nor against conventional medicine and I am neither for nor against non-conventional medicine. I am exclusively concerned with people’s welfare, and whatever contributes to regaining their health is all the same to me. If I have become more and more interested in non-conventional medicine in recent years, then this has nothing to do with any prejudices or personal interests, rather it is due to the results of my own research which have convinced me that conventional medicine is not nearly as successful in treating chronic illnesses like cancer, as many patients, unfortunately, still believe. It is very important to me that you understand this, because if an author writes positively about non-conventional therapies and exposes errors of conventional medicine, then that author is happily relegated to an “esoteric corner”, or even worse, that author is considered a “doctor hater”. Believe me, nothing is further from my intent and interests, and anyone who knows me, understands that I am a man who thinks quite logically, and that I prefer to move on diplomatic, rather than revolutionary, paths. Naturally it is a tactic of allopathic medicine to present me as an enemy of physicians who are not used to entering into a dialog with those who do not share their views, and instead dismiss all people with different opinions as crackpots. To apply the title of crackpot to people who think differently has some great advantages. In the first place you can always play the role of one who knows better, and secondly you do not have to change, because everything is all right (comfortably right). We all know from our own experience that nothing in life is more difficult than changing ourselves. Naturally this also applies to doctors, or perhaps it would be better to say, this primarily applies to doctors. And I can understand this. A person has studied at the university for 5-6 years, then spent 2-4 years in specialization, and perhaps a few more years in a hospital to gain experience, and here comes Mr. Hirneise, who does not even have a doctor’s degree, and maintains that this knowledge gained over years is at least in part, if not entirely, wrong. It takes genuine greatness of character for a person to question his knowledge and thus a portion of his personality over and over again in the course of his life; and the number of people who are capable of doing this is very small. I thank God for the privilege of becoming acquainted with some of these people, and I am eternally grateful to these people that they have shared so much of their priceless knowledge with me. Without their input I would never have thought so much about why people become ill, or how they can be restored to health. In this book I would like to share with you in a brief form the unifying theme I have found as to why people who are most seriously ill have become healthy again. In order for you to learn as much from this book as possible, unfortunately it is also necessary to refer to circumstances, which on first glance appear to have nothing to do with your illness. However only if you understand that political and financial interests can contribute to a medicine has being prescribed for you, which perhaps will harm you more than it will help you, can you conduct an open dialog with your doctor; a dialog that could determine whether you live or die. In almost every case this dialog will determine whether you will live or not. You should be clear about this for yourself, and you should prepare for this discussion. I am always amazed again and again at how little patients know about their illness. Every woman browses through catalogs before she purchases a new kitchen, not to mention men and cars. However when it comes to purchasing a therapy, very few patients inform themselves in detail about their illness, rather they rely on statements from neighbors and acquaintances, or on the statements of a doctor. If you are wondering about my choice of words, “purchasing a therapy”, then this may be because you have not yet considered that medicine is a business just like other enterprises. Even if payment is organized somewhat differently through the health insurance system, than it is for other businesses, nevertheless in the final analysis it comes down to buying and selling. As patient you must always remind yourself of this fact, because you never have to accept an “unfriendly therapy salesperson” again. This is no appeal to haggle over a discount, but rather an appeal to speak to a doctor like one grown-up speaks to another grown-up, and to place at least the same minimum requirements on this business transaction that are placed on the purchase of a car. Would you deal with a car salesman who would respond to your question as to whether the car that you are interested in is also available in a special paint finish, with the following statement: “Either you take it or go to a different dealership”? You would certainly leave immediately and take your business elsewhere. However when a doctor responds with insult or with arrogance to a patient’s questions, then this is accepted by many patients without so much as a murmur, because they are not aware that they are paying the doctor’s salary with their monthly insurance premium. Another point: patients believe that if they are not nice to their doctor they will have disadvantages in their treatment as a consequence. No doubt this can be true, on the other hand, every patient should ask himself whether he really wants to be treated by this kind of therapist. If these lines should give rise to the impression that I am not fond of doctors, then this is 100% incorrect as good friends of mine are doctors. However I feel that my primary responsibility rests with patients, and in my more than 10 years of clinical experience, and principally through my experience with cancer patients, I have learned that it is the “uncomfortable patients” who return to health. By uncomfortable, I do not mean arrogant or loud, but rather demanding. Demand that which is your due of your doctor – namely that he helps you to the full extent possible. Good doctors are never irritated with legitimate questions, and they know how unsure patients are, particularly right after the diagnosis. If your doctor does not take the necessary time, then find a therapist for whom you are valuable enough that he will take the necessary time. By the way, if I write “somewhat more” in this book about non-conventional cancer therapies, than I do about allopathic applications, there two reasons why. 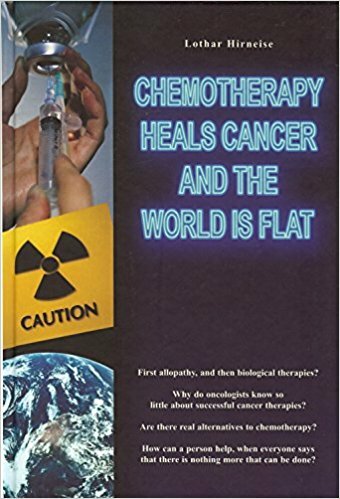 First, those who purchase this book expect to learn something about successful therapies other than chemotherapy and radiation, and second, it is simply a fact that is not easy to write about conventional cancer therapies if you want to describe them independently of pharmaceutical funding and career thinking. Another tip: Use this book as a workbook. This book is structured in such a manner that when you have completed it you will know what is important for you. Moreover it is important that you understand that even in holistic therapy there are things that are necessary, things that are important, and things that are not-so-important. I say this because I know there are many books and reports in which hundreds of therapies are listed, and after reading all this material the patient neither remembers what he has read, nor does know how he should then begin “his” therapy. Thus I recommend that you take notes while you are reading and do not leave any question open. Your life and the happiness of your family are at stake. Do not put yourself under time pressure; at this point just think about your future. Everything else is secondary. However I do not want to conceal from you what this book cannot do. It will not tell you which therapy you should start today, it cannot relieve you of the responsibility of perhaps speaking with various therapists; and more than anything else there is one other thing it cannot do: It cannot change you. From the bottom of my heart my desire for you is that you will start to view your future today (again) in an extremely positive light, and that you will create your future yourself through visualization and activities. Whatever you have hoped for up to this point – it is possible! Jonathan Chamberlain Cancer recovery Guide: 15 Alternative and Complementary Strategies for Restoring Health (Clairview: East Sussex 2008). The new updated edition of the big book is now called The Cancer Survivor’s Bible. Excellent place to start. See also www.fightingcancer.com for his comprehensive ebook Cancer: The Complete Recovery Guide. Francisco Contreras Dismantling Cancer (Interpacific Press, San Diego 2004). This book informs of the successes and failures of conventional medicine, the benefits of alternative therapies and demonstrates that exceptional results can be obtained by integrating orthodox and non-conventional medical protocols. References to scientific studies. Best book for overall worldwide picture. Francisco Contreras overseas the Oasis Hospital in Mexico, having previously specialised in surgical oncology in Vienna, Austria. Dr. Edward F Group, III The Green Body Cleanse (Global Healing Center 2009). Chris Woollams The Rainbow Diet :How it can help beat cancer (Health Issues, Buckingham 2nd ed. 2010) A mine of information – highly recommended. Also monthly magazine ICON – see www.canceractive.com. Griffin, G. Edward World Without Cancer (American Media, California, 1974 and 1997) now with CD. Order from www.cancure.org. Philip E Binzel, Jr., M.D. Alive and Well (American Media, California, 1994). After watching the above CD this American GP started treating his patients with B17 and nutrition therapy with amazing results. This book covers the 18 years from that time until his retirement. Order from www.cancure.org. Read online at www.whale.to. Felicity Corbin Wheeler God’s Healing Word (Book Publishing World 2006). Felicity lost a daughter to cancer before she herself was diagnosed with terminal pancreatic cancer and given no more than 6 months to live. She treated herself with injections of laetrile and ate apricot kernels and within a year her cancer had disappeared. Loretta Lanphier, NP, Cancer: The Path to Healing. (Personal testimony about healing from stage 3 colon cancer with natural medicine). David Servan-Screiber, MD, PhD anticancer: a new way of life (Penguin, London 2008). While conducting cutting edge research into neuroscience, the author found he had a brain tumour and suddenly became a patient comparing treatments. A few years later he had a relapse and finally got the message about diet and lifestyle. 15 years on he has written about how to help the body’s own immune system fight cancer, alongside conventional treatment. Will convince you about diet and lifestyle changes. Sally Fallon with Mary G Enig Nourishing Traditions: The cookbook that challenges politically correct nutrition and the diet dictocrats (New Trends, Washington DC 2nd edition 2001). Packed full of information, backed up by research studies, refuting a lot of ‘politically correct nutrition misinformation’. Fascinating. We all could benefit from reading this. But NB Dairy (even raw, unpasteurised, pasture-fed) is not good for cancer sufferers because of the growth factors in it (encouraging baby animals to grow fast). Professor Jane Plant CBE Your Life In Your Hands (Virgin, London 2000). ‘One of Britain’s most eminent scientists suffered from breast cancer five times, at which point she realised orthodox treatment was not going to work. She then learned of the relationship between diet and cancer’. Cutting dairy out of her diet saved her life. With Gill Tidey The Plant Programme (Virgin, London 2001). Delicious dairy free recipes. ** For our caution on soya see our own notes on Should we be avoiding dairy?. Professor Jane Plant Prostate Cancer – understand, prevent and overcome (Virgin, London 2004). Packed full of detailed scientifically proved information with hundreds of sources listed. Should refute any critics of the link between dairy produce and breast and prostate cancer. See above caution **. W. John Diamond M.D. and W. Lee Cowden M.D. with Burton Goldberg Cancer Diagnosis – What to do next (AlternativeMedicine.com Books, California 2000). Clinically proven, safe and non-toxic treatment. Russell L. Blaylock, M.D. Natural Strategies for Cancer Patients (Kensington, New York 2003) Excellent suggestions to minimise the side effects of chemotherapy and radiotherapy, fortify immune system all with nutrition. Chris Woollams Oestrogen – the killer in our midst (Health Issues, Buckingham 2004). ‘… every single cell in your body has the ability to produce hormones’ (p20), so perhaps hormonally driven cancers are even more common than we think. There is much to think and take action about in this book. Dr John R. Lee et al, What your doctor may not tell you about breast cancer (Thorsons, London 2002). ‘How hormone balance may save your life’ – about oestrogen. Also information about soya e.g. (see table on p 259) traditional soya products such as tofu, tempeh, fermented bean curd and miso being ‘favourable soy food’, but showing soybeans, oil and flour to be high in anti-nutrients. Dr Rosy Daniel with Andrew Panton The alternative treatment guide (Health Creation, Bristol 2003). This is part of the Cancer Lifeline Kit and is available from Health Creation 0845 009 3366 or from the Nutri Centre 020 7436 5122. There are 13 components in the kit: a video, guides, workbooks and CDs. A leaflet is available describing these. Dr Daniel is former Medical Director of the Bristol Cancer Help Centre. Lynne McTaggart, ed. The Cancer Handbook (What Doctors Don’t Tell You, London 2000), although not fully informed about laetrile therapy, contains detailed information about orthodox treatment. Michael Gearin-Tosh Living Proof – a medical mutiny (Scribner, London 2002). His story from the moment of diagnosis. Consultants urged immediate treatment. He refused, probed words and looked behind medical phrases. He was told untreated myeloma patients die in less than a year, treated in two to three years. After much discussion and research he pursued alternative therapies and 8 years on wrote about it. Bernadette Bohan The Choice (Element, London 2005). Her story of battling cancer twice, 15 years apart. The second time she discovered alternative ways to help herself, getting more energy and curing her arthritis in the process. Now through demand she runs classes and gives talks about juicing, clean water, powerful foods – including nitrilosides, supplements and safe personal care. The last chapter gives an easy to follow guide to ‘change simply’. Chris Woollams Cancer: Your first 15 steps (Health Issues, Buckingham 2004). ICON published a double page spread with the same title in their second issue of the magazine August 2002. This is an expanded version with much more information but doesn’t mention B17 which is a shame! June de Spain The Little Cyanide Cookbook (American Media, California 1976) – recipes including foods specifically containing vitamin B17. The author was a toxicologist and pharmacologist for the U.S. Food and Drug Administration (FDA) and conducted diet research at the University of Chicago. Dr Gillian McKeith’s Living Food For Health (Piatkus, London 2000) especially on the importance of enzymes and details of ‘superfoods’ to boost the immune system, etc. Some recipes included. Dr Gillian McKeith You are what you eat (Penguin, London 2004) Gives the most common body signs to look out for to assess the state of your health, suggestions for supplements and diet. Detox suggestions and some recipes. Michael van Straten Superjuice (Mitchell Beazley, London 1999). Recipes for fruit and vegetable juices describing the vitamins, minerals and goodness in each. Barbara Cousins Vegetarian Cooking Without (Thorsons, London 2000) Recipes free from gluten, sugar, wheat, yeast, dairy, meat, fish and saturated fat. Dr F. Batmanghelidj Water & Salt: your healers from within (Tagman Press, Norwich 1992,2003). Available direct on 01603 281725 or www.watercure.com. On the importance of both water and salt in our diet. See www.regenerativenutrition.com for the benefits of unrefined, traditionally harvested Celtic sea salt. William Wolcott and Trish Fahey The Metabolic Typing Diet (Broadway, New York 2000) – no single diet works for everyone. For hereditary reasons your metabolism is unique. Find your metabolic type and best diet. Vernon Coleman Food for thought (European Medical Journal, Barnstaple 1994, 2000). On foods that are good for you, and foods that aren’t. On food preparation and why you should not eat microwaved food. B.C. Wolverton Eco-Friendly House Plants (Seven Dials, London 2000) for research by NASA on 50 house plants as solution to indoor pollution/toxins in the home. Rolf Gordon Are You Sleeping in a Safe Place? (2005). www.dulwichhealth.co.uk. Vital information on geopathic stress. Felicity Lawrence Not on the Label – what really goes into the food on your plate (Penguin, London 2004). This will get you reading all the labels and change your shopping habits! Anticancerinfo notes are available from Karen Kirkpatrick 01483 423235 (9am to 5pm Monday to Friday) This is a private line. If no-one answers, keep trying, within the above hours.